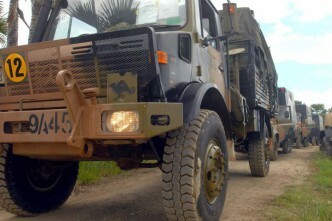 As the Defence Department prepares to spend $10–15 billion ­buying the modern equivalent of the armoured knight, in the shape of 450 infantry fighting ­vehicles, it risks committing the army’s future to a capability with limited use. One of the old saws of military history is that the crossbow made the armoured knight obsolete. The problem with that story is that crossbows and armoured knights coexisted in Europe for centuries. The armoured cavalryman did become obsolete, but through a combination of reasons. There were certainly new offensive technologies, not just crossbows, but increasingly gunpowder weapons. Organisation played a role: massed pikemen requiring little training or equipment could stand their ground against heavy knightly cavalry. Logistics played a role: a suit of plate armour could be made only by exquisitely skilled artisans and cost a huge amount of money, and the knight’s charger was also expensive to buy, breed, train and feed (yet vulnerable to a simple arrow). Ultimately, it came down to a question of value for money. Heavy armoured cavalry excelled in one particular role: they delivered shock, kinetic energy in the culminating battle of the campaign and not much else. They were too big and slow for the everyday tasks of war, the little war: patrolling, skirmishing, screening, plundering. Light cavalry could do it better and cheaper. So once the armoured knight lost his ability to decide the battle, the massive cost of training, equipping and supporting him no longer made sense. However, cavalry didn’t go away for several more centuries. But it evolved. Rather than getting heavier in an arms race it couldn’t win against gunpowder, it became lighter, largely to focus on those everyday tasks, or as a rapid delivery system for infantry who did their fighting on foot. This story is relevant today for the biggest acquisition project in the army’s history. 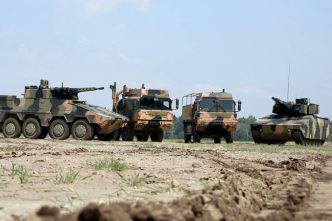 In March this year, the Australian government gave the go-ahead for Defence to buy 211 Boxer combat reconnaissance vehicles under Project LAND 400 Phase 2. As has become the default setting for defence industry policy now, the government committed to assembling them in Australia, a commitment that unleashed a firestorm of interstate warfare as Queensland and Victoria both sought to host the project ­(although the first 25 will be assembled overseas). The cost is stated to be $5.2 billion, $24.6 million per vehicle. But that’s just the appetiser for the main course: LAND 400 Phase 3, which has a budget of $10–15 billion to buy 450 infantry fighting vehicles. To the person on the street, the Boxer and the likely contenders for Phase 3 look like tanks. The Boxer has eight wheels, and the Phase 3 vehicles could have tracks. 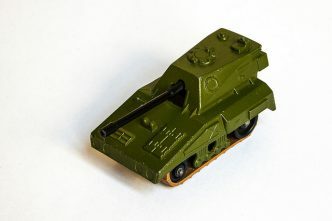 They have turrets, but with a smaller gun than a tank. But both are big, heavy and expensive. As part of the arms race between offence and defence, armoured vehicles have got much bigger in order to provide greater protection. 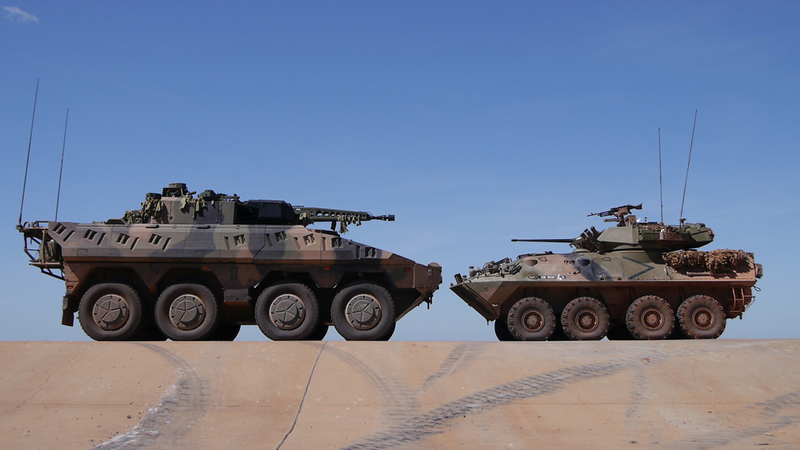 The Boxer, at more than 35 tonnes, is replacing the 13-tonne ASLAV; and the likely IFV contenders, also in the 35- to 40-tonne range, are replacing the 18-tonne M113. However, they have different roles from each other, and from tanks. CRVs play the role of light cavalry, out in front, screening the main force, trying to find and fix the enemy for the tanks and IFVs to destroy. The IFVs working with the tanks are like the armoured knights. They’re designed to have the combination of mobility and firepower and, perhaps most importantly, protection to drive across the battlefield to deliver infantry right on top of the enemy’s position. But are we at a similar point in history to when the armoured knight became obsolete? Let’s look at the factors that led to the extinction of the knight. Offensive technologies are proliferating, and not just the rocket-propelled grenades used with limited effect by insurgents across the Middle East, or the improvised explosive devices used with lethal ­effect. Modern militaries will be equipped with sophisticated, man-portable, fire-and-forget anti-tank missiles, just like the Javelin Army has already, or the Spike that will come as part of Phase 2. A tank can still easily destroy an IFV, despite its protection. Unmanned systems will soon appear that are like artificial intelligence–enabled missiles that seek out and destroy armoured vehicles. No matter how heavy IFVs get, the modern battlefield will be extremely lethal for them. So organisations are adapting. Because of this level of threat, modern armies are moving to a distributed structure, a targeting system or network that takes advantage of modern communications, sensors and precision-guided weapons to identify and destroy the adversary while reducing its own profile. With their core role becoming more, and potentially prohibitively, dangerous, can IFVs provide alternative value by filling the range of roles that make up the everyday tasks of modern warfare? Armoured vehicles do have an inherent flexibility. For example, the army’s Bushmasters and ASLAV cavalry vehicles have been adapted to roles in Afghanistan that were not originally envisaged. The argument isn’t compelling. 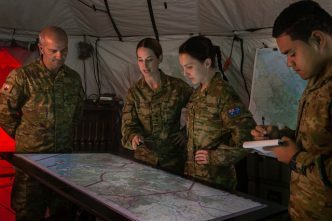 With their substantial size and logistics overheads, it will be challenging for the defence force to deploy and sustain IFVs in large numbers. They are ill-suited to tasks that feature heavily in modern counterinsurgency operations, such as route clearance and patrolling, not to mention the fact that 35-tonne tracked vehicles will make a mess of roads and bridges in areas with poor infrastructure. Huge IFVs seem like overkill for stabilisation operations in our near region, where getting close to the population and winning their confidence is essential. So IFVs may not be survivable in a future conventional war, and they may be poor value for the likely tasks the ADF will have to perform in the future in the near region. It’s clear that doing nothing is not the answer. The M113 armoured personnel carriers that Phase 3 is replacing represent 1950s technology that we deployed in the Vietnam War. They’re slow and can’t stand up to threats provided by insurgents, let alone the more lethal threats provided by conventional militaries. Even recent upgrades haven’t remediated their inherent design limitations, so Defence didn’t deploy them to Iraq or Afghanistan. Keeping platforms that you can’t use on the books makes little sense. Despite the aura of surgical precision offered by networked forces using advanced sensors, guided weapons and uninhabited systems, war will remain nasty and brutish. It’s easy to imagine scenarios where there will be need for some heavy armoured vehicles, like modern IFVs that can potentially provide the nodes in a targeting network. They are equipped with sophisticated sensor and communication suites to identify targets and share that information, as well as weapons to destroy those targets. But buying 450 IFVs at a price of $10–15 billion presents a huge opportunity cost (and let’s be honest, if history is any guide, Defence will spend at least the full $15 billion). Even part of that money could buy a lot of other capability. For example, it could allow the army to ­experiment with low-cost, disposable systems that don’t expose soldiers to risk and can be replaced cheaply. Or lighter, more deployable vehicles better suited for our near region. 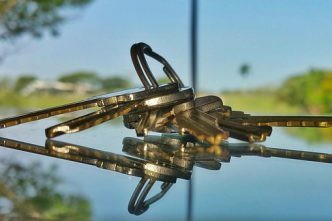 The government will be facing a lot of pressure to press on with Phase 3, but it has shrunk its decision space dramatically. First, it has announced that the solution will be an IFV of some kind. Second, the local Phase 2 production line decided recently is for just 186 vehicles, so it has created a potential valley of death for the armoured vehicle assembly workforce. If the shipbuilding valley of death is any precedent, the government will fill it with more armoured vehicles rather than see layoffs when the work runs out. Third, any decision that results in fewer than 450 vehicles being built in Australia will bring howls of outrage from local interests. And finally, the winner of Phase 2, Rheinmetall, will have established an armoured vehicle production line in Queensland; that has to give it an advantage in bidding for Phase 3. Does anybody else have a realistic shot at the title? But with Phase 2 locked in and 211 modern armoured vehicles on the way, maybe the government has bought itself some time to reconsider what Phase 3 should look like and hold off on putting out a tender. Or at least it could buy considerably fewer than the planned 450 and so not lock the army into an outcome that fundamentally constrains its operational and investment flexibility. Marcus Hellyer is APSI’s senior analyst for defence economics and capability. A version of this article was published in the Australian. Image courtesy of the Department of Defence.